Aberystwyth Castle, part of the Aberystwyth in Ceredigion West Wales web site. 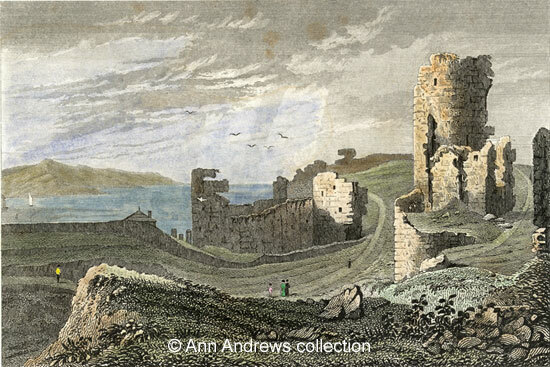 Aberystwyth Castle, part of the Castles of Wales web site. The above antique steel engraving was published in "Curiosities of Great Britain. England and Wales Delineated: Historical, Entertaining, and Commercial", alphabetically arranged by Thomas Dugdale, Antiquarian, assisted by William Burnett. Published in 11 volumes by J. Tallis, London c1845. Also in 4 volumes by L. or J. & F. Tallis, also in 2 volumes by L. Tallis, 1854-60. Hand tinting added at a later date. In the collection of, provided by and © Ann Andrews.